to explore and be involved in the arts. The theme for the 2018 - 19 school year is "Heroes Around Me". 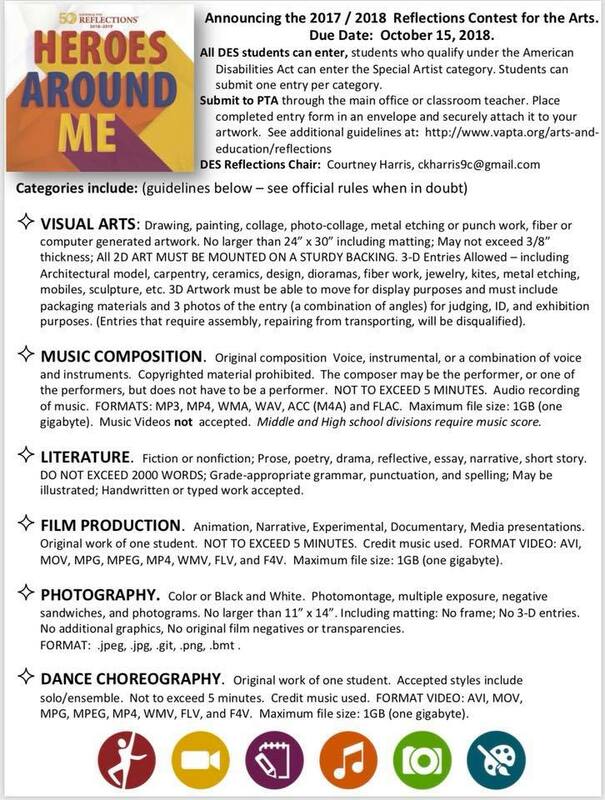 Dare Elementary students can reflect on the theme and create original works of art in the categories of dance choreography, film production, music composition, literature, photography and visual arts. Entries will be collected in October, 2018 and winners announced in the winter. You can find additional details and entry rules on the VA PTA Reflections Website. For questions, please contact Courtney Harris.